I’m sure you were always dreaming about funny symbols for your beamer presentations or LateX documents. Standing ovations guaranteed for all your congress and seminars. 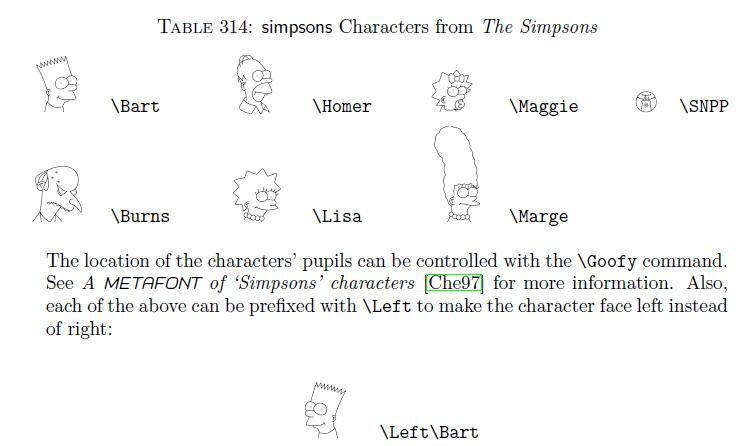 Just take a look to this pdf document and enjoy the simpsons package.